Great Z's: Do Anesthesiologists Make You Want To Go Pee? Does the sight of an anesthesiologist approaching you give you an urge to pee? 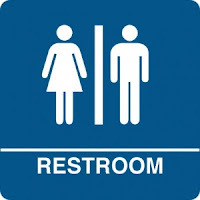 How else to explain the all too common phenomenon when I am about to introduce myself to you that you suddenly have the urge to go to the bathroom? It never fails. You can be sitting in preop holding for 45 minutes or an hour, happily lying on the gurney watching TV or reading your iPAD. But the minute I walk up to you, you have to excuse yourself to go urinate. You may be in the OR for a TURP because your poor bladder just can't expel all that urine past your enormous prostate, but the sight of an anesthesiologist opens up your urethra wide like the parting of the Red Sea. While I can understand that everybody has to go when nature calls, it never seems to happen with your surgeon. When the surgeon ambles up to the bedside to discuss all the potentially deadly complications he is about to inflict on your innocent frail body, you seem to be able to hold it all in. In reality that should be the precise time you should be hurling and spewing your guts out thinking about what you are about to undergo under the guise of "modern health care". Instead when I introduce myself, you run off to the bathroom. I am left standing there looking at an empty bed, leafing through your (usually) incomplete chart trying to comprehend the scribble of an H+P written by the surgical resident. In the meantime I'm trying to ignore the wall of eyeballs of your family members zeroing in on my defenseless, self-conscious soul. What are they thinking about me behind those steely probing glares? "How old is he? Which medical school did he graduate from? Should I ask him for his phone number?" Frankly, I don't even like to start the IV after you've been to the bathroom; I don't know how well, or even if, you washed your hands after relieving yourself. Did you do #1 or #2? Actually I don't want to know that. It would just cause me to recoil more. All the while the clock is ticking as the OR finds another excuse to classify a late case start as "anesthesia delay". 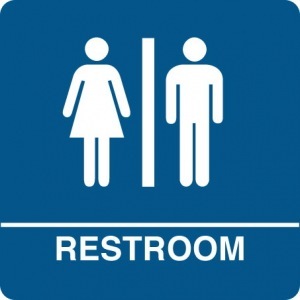 When should you go to the bathroom? The obvious answer is when you are changing out of your street clothes into the hospital gown. Take all the time you want then. Nobody will object. If you have to go after that, at least try to wait until I've had a chance to talk to you and get you ready for surgery. That way my precisely honed timing for preoping patients will not be disrupted. Your case will then start on time and you, me, the surgeon, and the OR will all be happier for it.